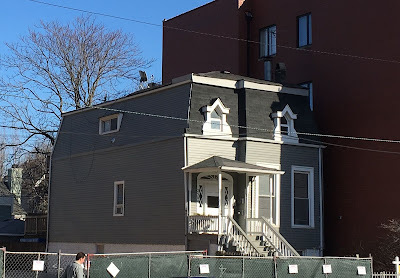 The Chicago Real Estate Local: Will this Lincoln Park hold-out cash in? The vacant lot shown at 2511 North Halsted above sold in 2018 for $1,500,000 (all photos Eric Rojas, Broker, Kale Realty). 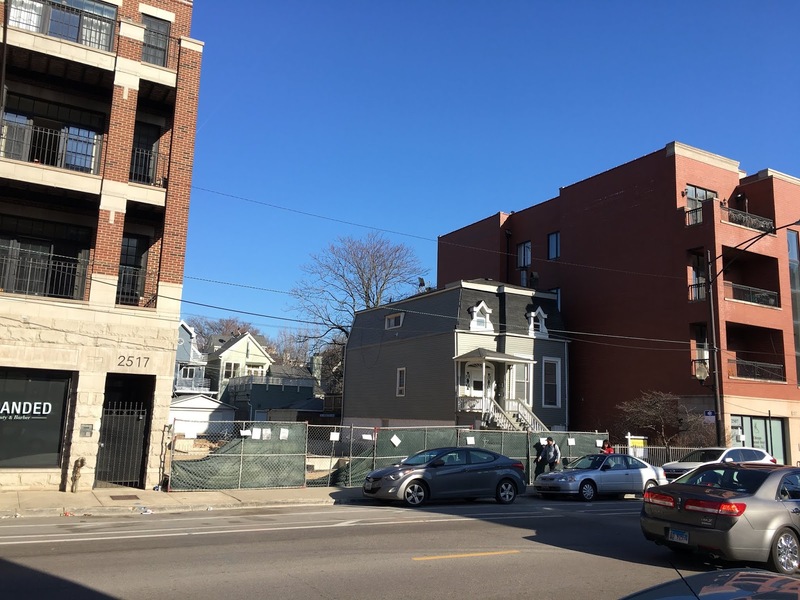 A double lot (50'x126') was sold at 2511-2513 North Halsted for $1,500,000 last year. We don't yet know what will be built (it will be six condos with or without retail on main floor). As you can see a vintage building remains on the adjacent lot on the south. The circa 1890s vintage two-flat at 2509 North Halsted is also for sale at an asking price of... wait for it.... $925,000 (@Properties). That's almost $200,000 more than a single lot would "comp out" to next door (and you get a premium for the double lot). 2509 North Halsted is a vintage two-flat building sits in the middle of typical North Halsted Street developments. It remains to be seen if someone will pony up $925,000. An improved two story restaurant/ bar building at 2721 North Halsted (Trinity Bar) did sell for $870K recently on a 26'x134' lot. 2509 N Halsted was for sale from 2008-2011 when my business and office was at Rubloff over the Home Depot a few doors north. The lowest price it dipped to was $779,900 in 2011... the bottom of the market after the 2008 financial crash. Things started to clean up and head upwards from 2012 on. 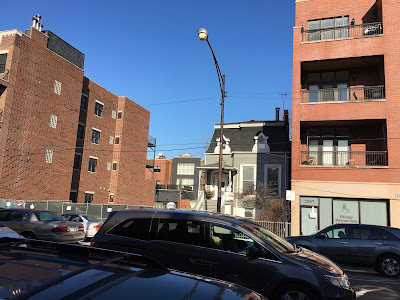 This strip of Halsted from West Fullerton to West Diversey is a collection of mostly mixed use three-to six-flat buildings, restaurants and bars. Many shacks have been torn down but the 2509 N Halsted building looks in great condition. About fourteen condo units have sold on Halsted Street from Fullerton to Diversey in the last twelve months. The median price of a sold condo is about $512,000. The highest sold condo in the last 12 months is 2503 North Halsted Unit 4 for $730,000.